No, not made of Giraffes, just from the restaurant chain! We had an unusual Easter Sunday… A very early morning Easter egg hunt (luckily the Easter Bunny had visited) followed by a day out with some friends, and luckily enough, lunch at Giraffe. We’ve always managed to eat well at Giraffe, with all of us catered for by some excellent service…. every time (and we’ve eaten at a lot of Giraffes). A review will follow when I get round to the review section of this blog. 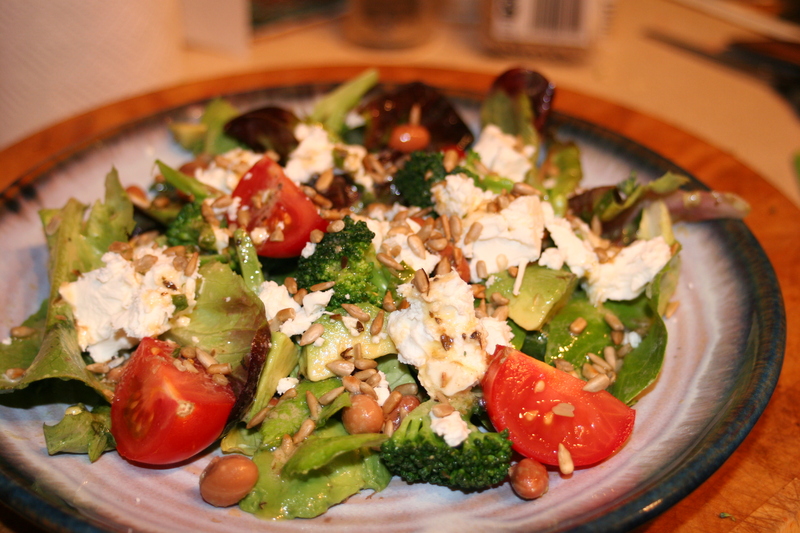 Anyway, I was rather boring and went for my ‘usual’ salad, the Super Healthy Veggie and Feta Salad. It was nice, but since I’ve recently been doing my own version at home I maybe prefer this one! I’ll definitely make this one. Thanks for sharing!